The conditions we most commonly see in adults are pain, numbness and stiffness in the back, neck, legs, hips, shoulders and knees as well as headaches and migraines. This might be the result of an acute or chronic injury or something that has developed over time due to wear and tear or postural habits. We have an extensive knowledge of anatomy so if your problem feels unusual we are happy to discuss it with you first to see if we might be able to help. 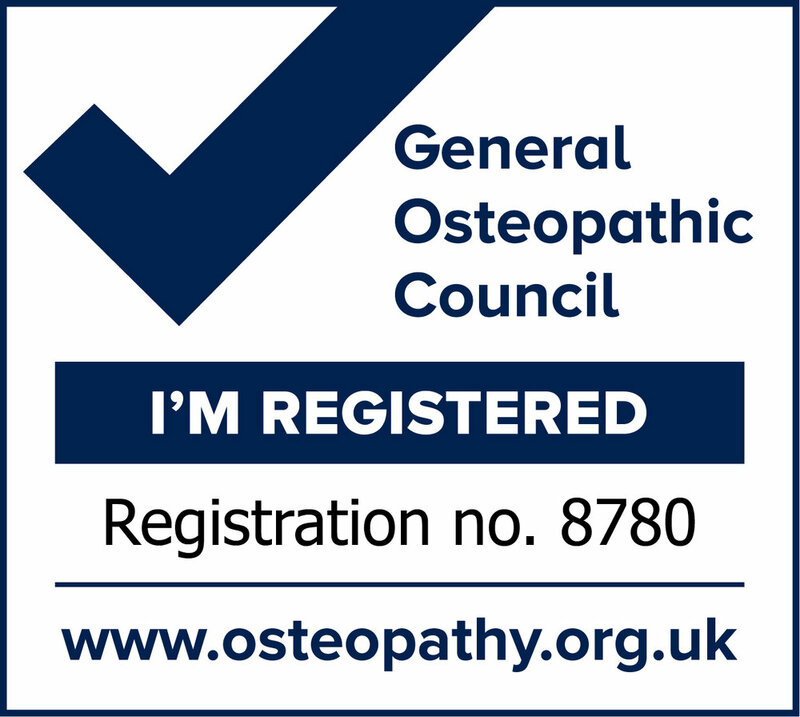 For a full list of What Osteopathy can Help with click here. Whether its a traumatic injury that is failing to recover properly or a repetitive strain, our assessment of your biomechanics and the treatment plan we create, will help you get back to your favourite sport or exercise as soon as possible. This often includes advice on home treatment, taping and rehabilitation exercise programs. With an increased propensity to sit long hours in front of technology due to work commitments, it is not uncommon for problems to develop in these areas. This is also an area where people tend to feel the physical tension of stress and as we get older can be an area of wear and tear. Our individualised understanding and analysis of you will work out how to release, relax and encourage your body to heal. Most importantly we will work with you on pragmatic solutions to prevent the problem returning. Our examination will help you understand the likely cause of your lower back pain or sciatica , whether you might need further investigations or treatment elsewhere and what exercise you can do to help. Our hands on treatment helps to speed up your healing by improving your mobility and relaxing the area. Our treatments can help to reduce the frequency and intensity of the pain from headaches which are generated from neck problems and migraines. Whilst there is no current cure for migraine we can help you to significantly reduce them and will help you to identify the physical factors in your body that may be contributing them such as neck and shoulder tension and posture. In addition we offer cranial osteopathy which patients find relaxing and helpful for stress and tension. A woman's body changes during pregnancy. Those changes include the softening of ligaments, weight increase and changes to posture. That can lead to additional pressure on joints in various parts of the body including the spine and the pelvis and lead to general aches and pains in the joints and back. Osteopathy may help relieve the stresses and strains on your body during pregnancy and after delivery. Osteopaths are trained to screen for medical conditions and will tell you if you need to see another health professional such as your doctor or midwife. Osteopathic techniques are suitable for children at all stages of development: We will assess your child to see what might help. Babies skeletons are softer than an adult's and osteopaths will therefore use gentler techniques such as cranial osteopathy when treating babies and young children. Cranial techniques are safe, gentle and non manipulative. As a gentle form of treatment it could help soothe and relax your baby. This gentle form of treatment is equally relaxing and suitable for adults but is especially appropriate if you are fragile, in very acute pain or just really don't like the discomfort associated with firmer types of treatment. It is useful in the treatment of headaches, neuralgia and migraines and helpful for encouraging relaxation, where this is difficult. In some instances people have tried everything from medication to surgery and still find themselves in long term pain. Catrin offers a specialised service for the management of chronic pain using a proven CBT (Cognitive behavioural therapy) programme combining Osteopathy and Mindfulness and Acceptance to help patients cope better with chronic pain. This is a 6 week structured programme of hourly treatment sessions. A pre assessment interview to establish if its suitable for you is offered free of charge.